Center stage is Trumpler 5 an open cluster of golden stars some 3 billion years old. Bottom left is the Cone nebula and Christmas Tree nebula....bottom right is not a comet, but rather Hubble's Variable nebula. 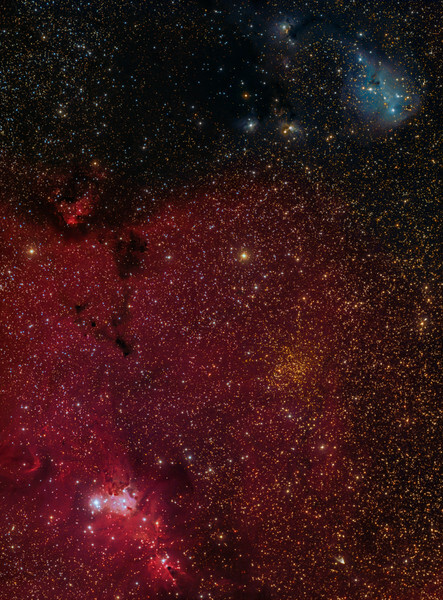 Top right is the reflection nebula, IC2169.